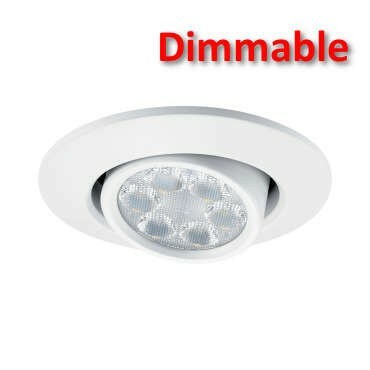 JCC JC94482WH Fireguard LED6 Mains IP20 6W Dimmable Downlight Tilt White 4000K - John Cribb & Sons Ltd, UK Electrical Distributors, Dorset, Hampshire, Wiltshire, Somerset & the Isle of Wight. JCC JC94482WH Fireguard LED6 Mains IP20 6W Dimmable Downlight Tilt White 4000K, the performance of FGLED6 ™ with unique tilt and rotate, FGLED6 is the successor to FGLED7, same light, less energy. C.K. 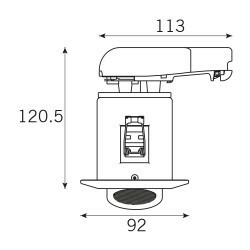 Tools Hole Saw 86mm 3.3/8"
FGLED6 is the successor to FGLED7, same light, less energy. Tilting the lens in a standard LED fitting can create a gap that, in the event of a fire, will allow flames to penetrate into the ceiling void. However, the unique tiltable version of FGLED6™ has a patented design that incorporates an enclosed steel can and intumescent seal. FGLED6™ Tilt has been independently fire tested for 30, 60 and 90 minutes. *10 year for domestic dwellings, 5 year for commercial properties. Requires online registration. FGLED7™ compatible, high quality fixed metal bezel. Saves valuable time during installation.